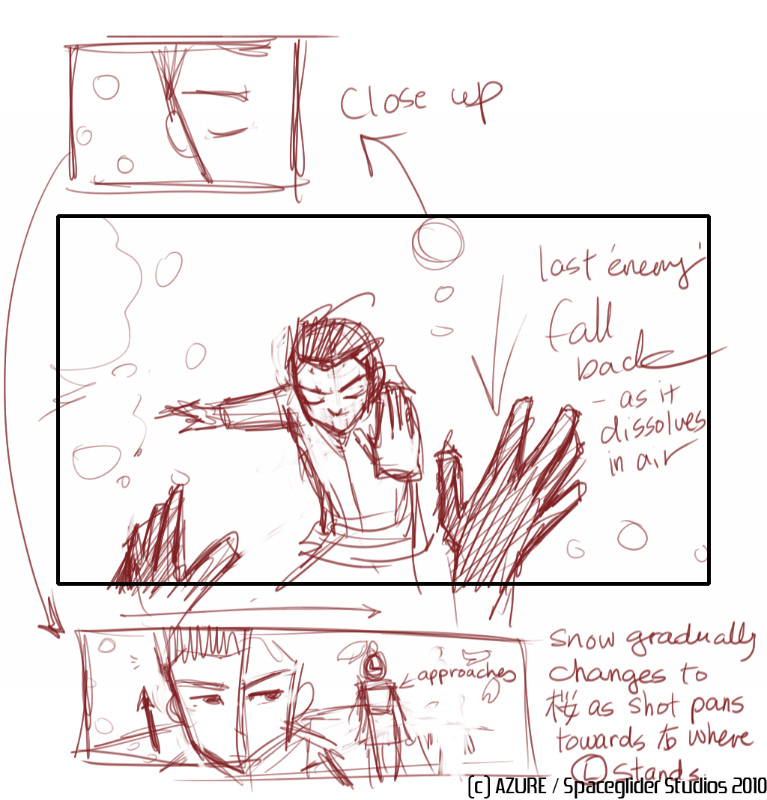 Continuing with the TaiChi project, and since we now have a somewhat overall plot and audio, I thought I should sit down and scribble some storyboard ideas I got. 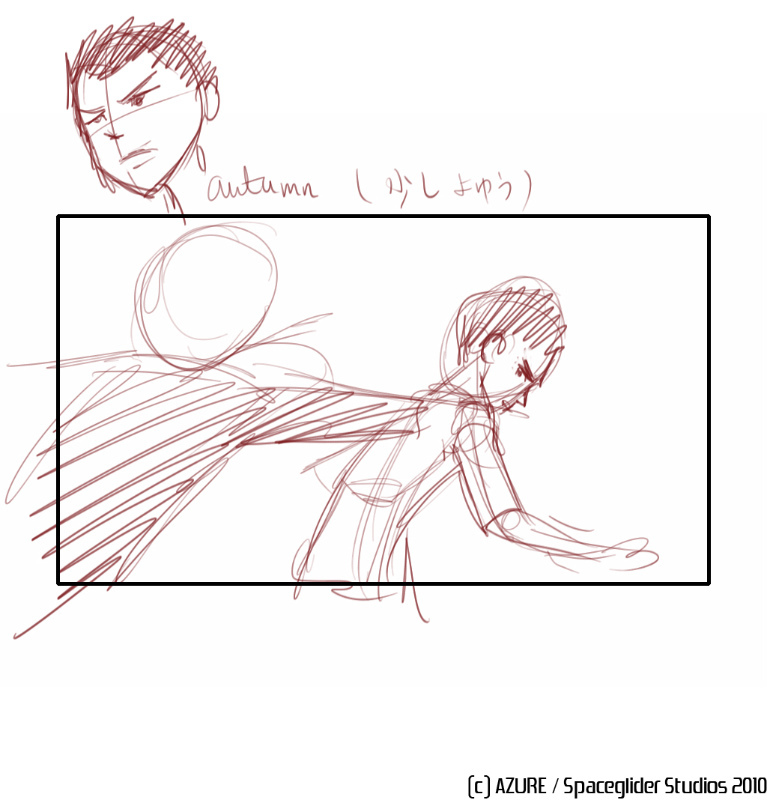 I seem to enjoy this a lot. 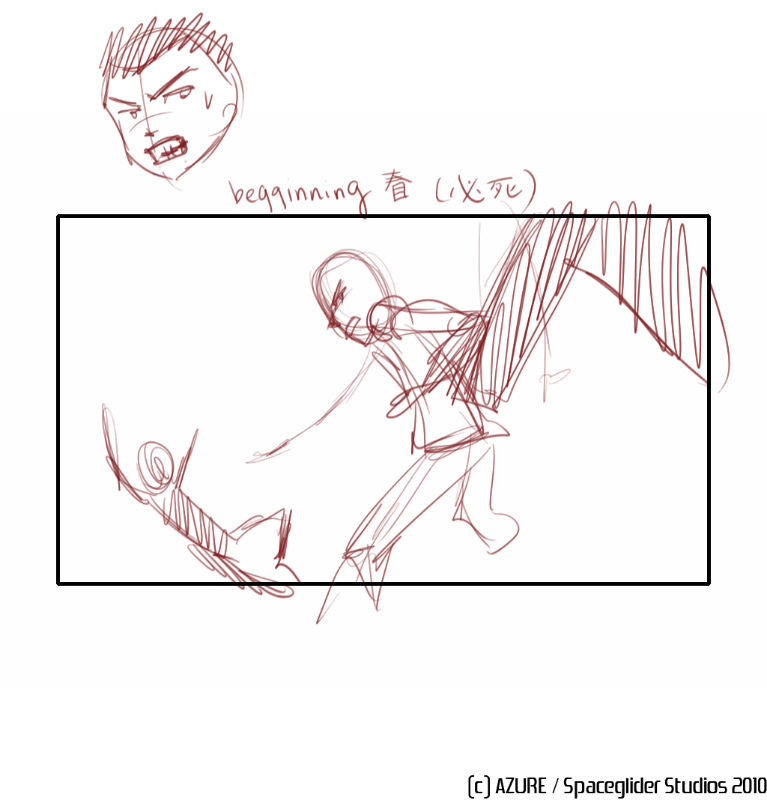 The last time I did this was back in school. I listen to whatever audio I get and listen to it, the first time with eyes closed. 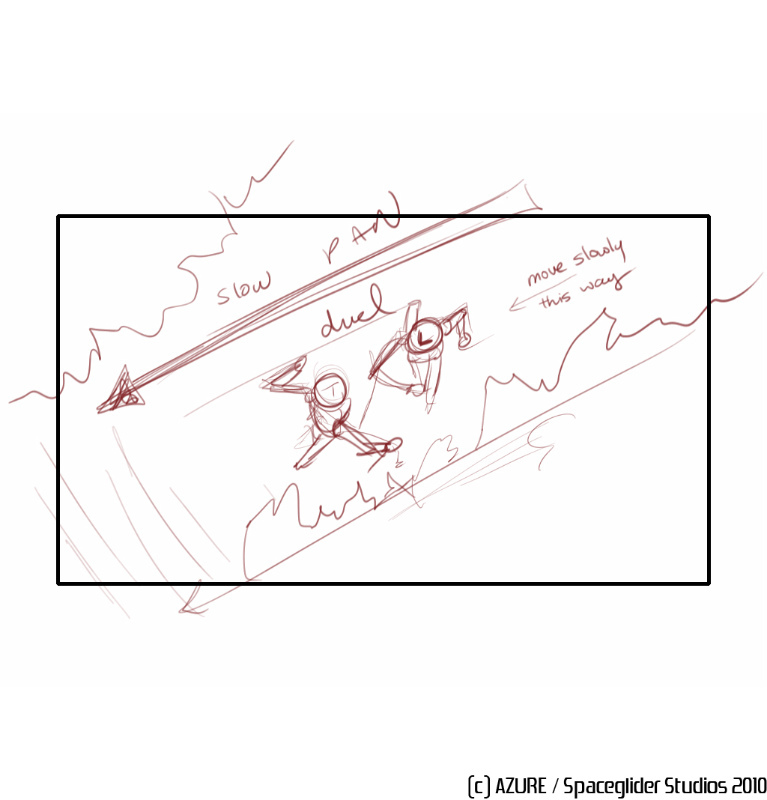 Second time around I jot down whatever I 'see' on paper, just moving as fast as the music does, and not thinking about any rule breaking or anything. 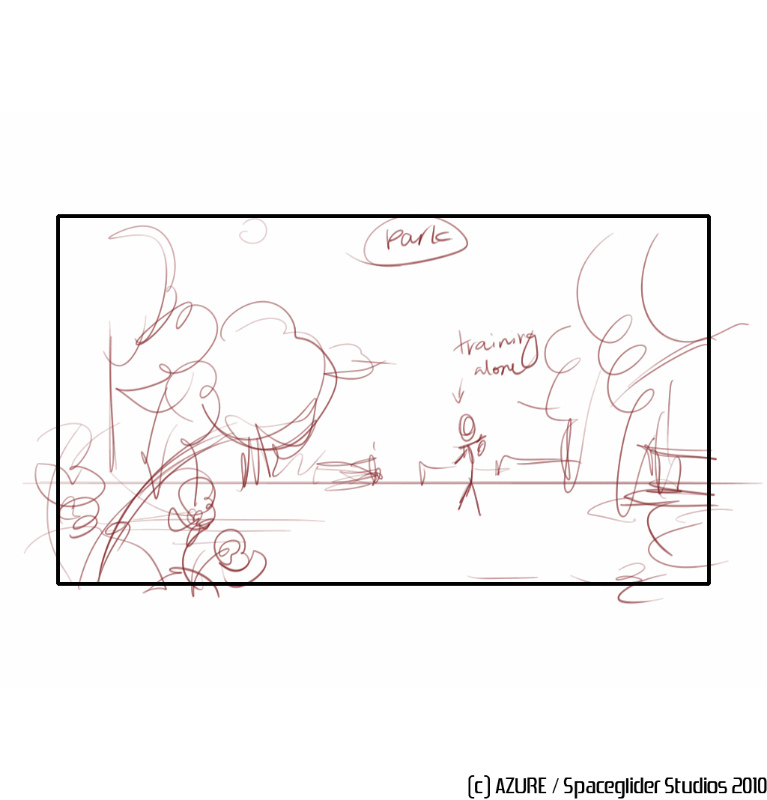 Obviously I will have to go back and this time think out much further. 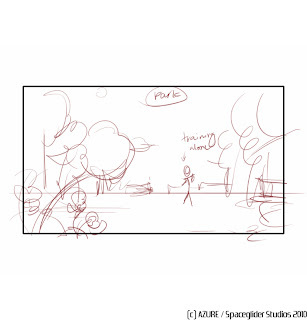 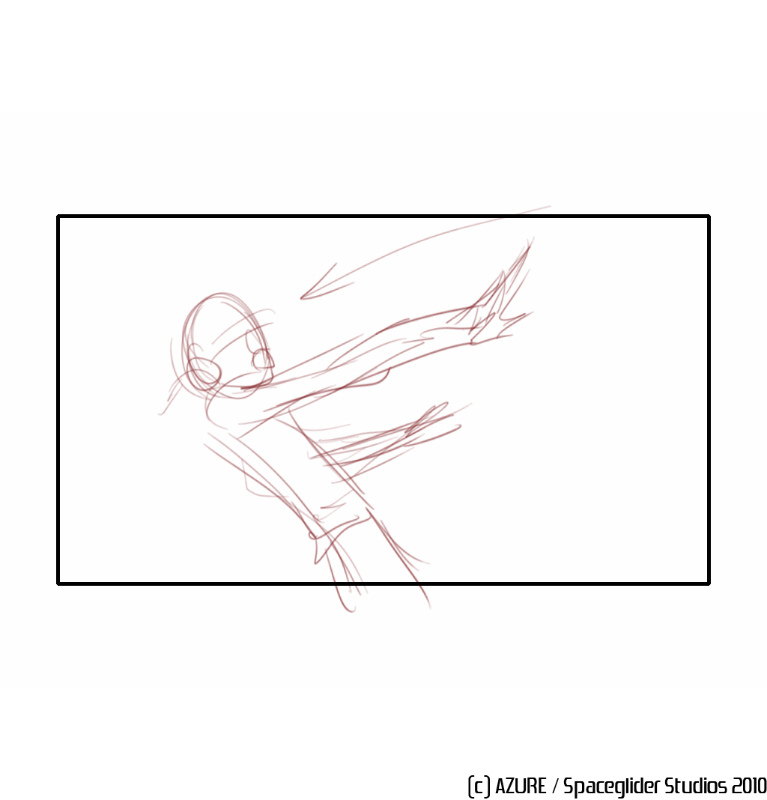 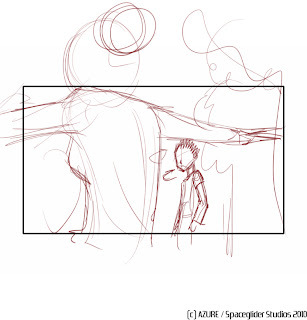 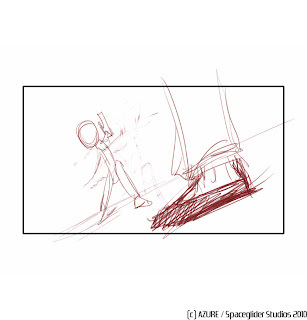 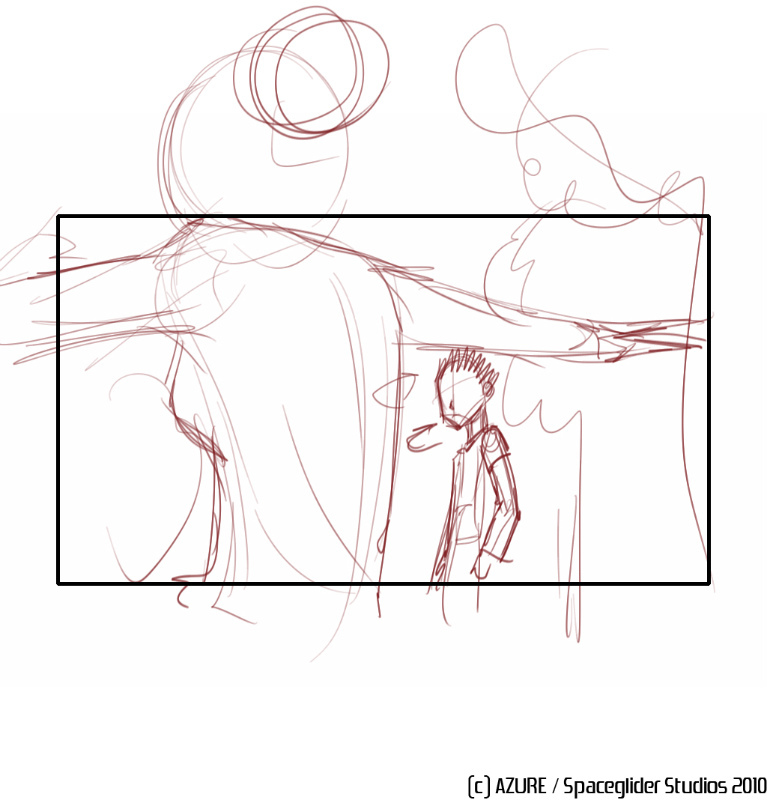 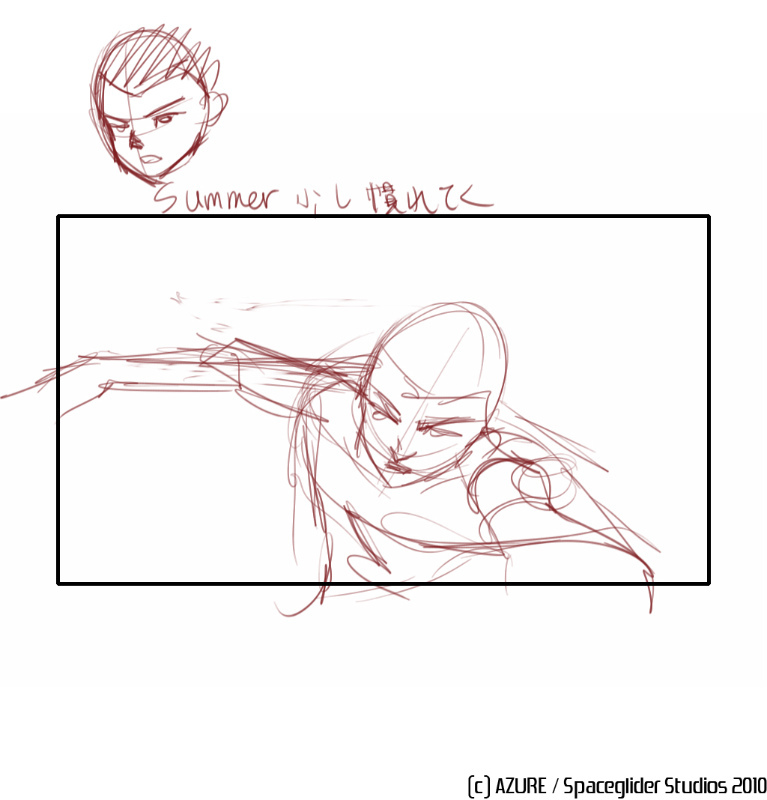 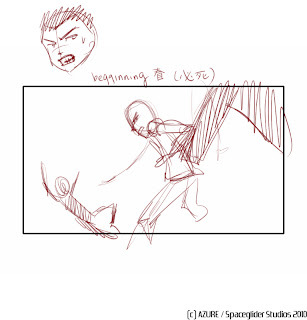 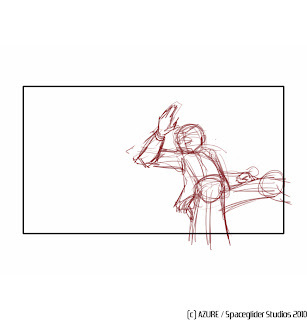 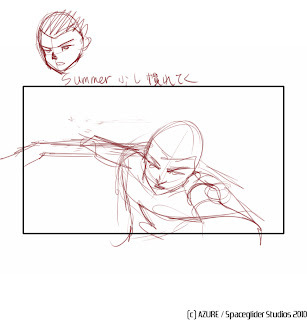 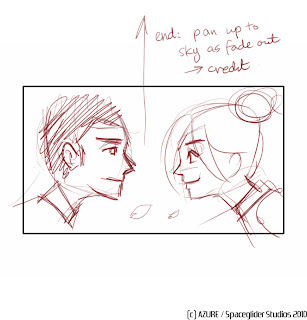 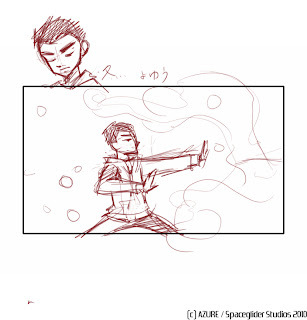 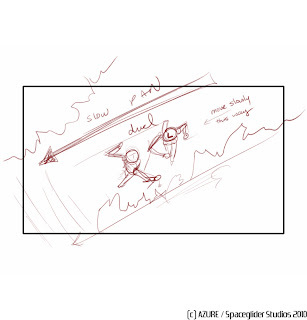 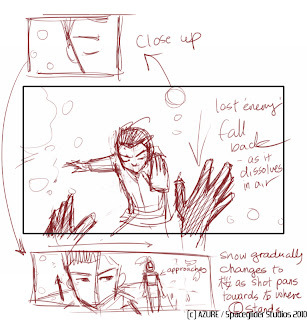 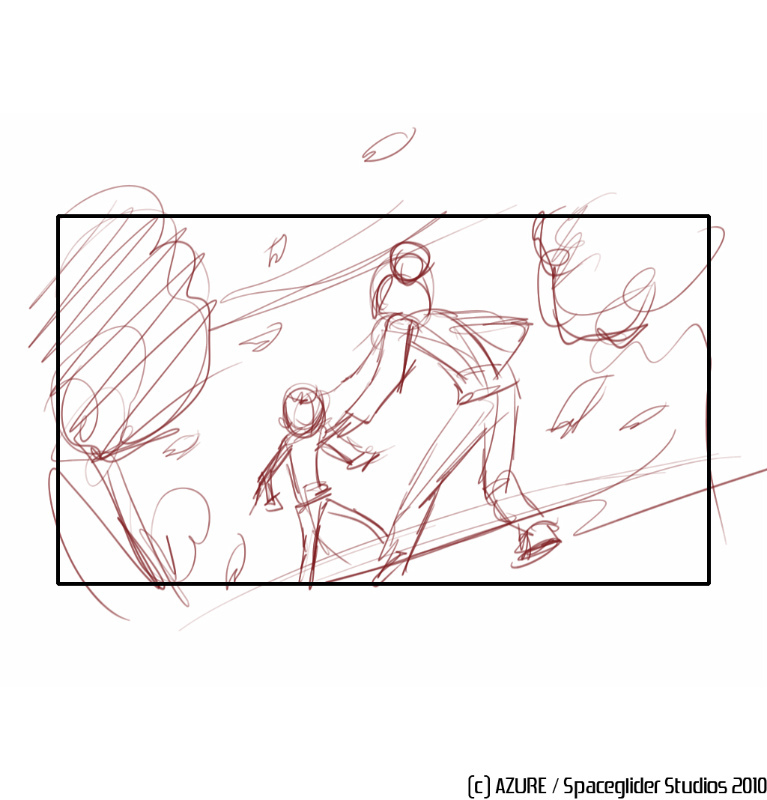 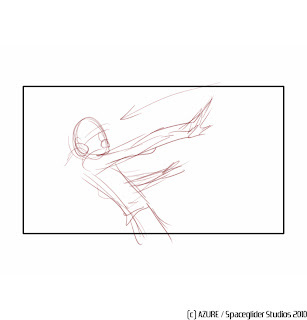 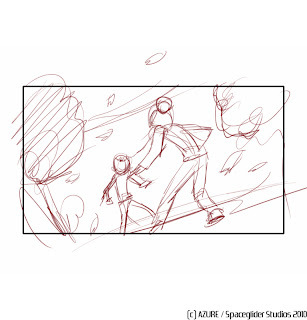 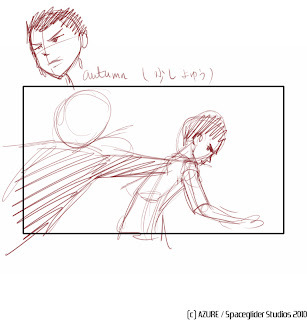 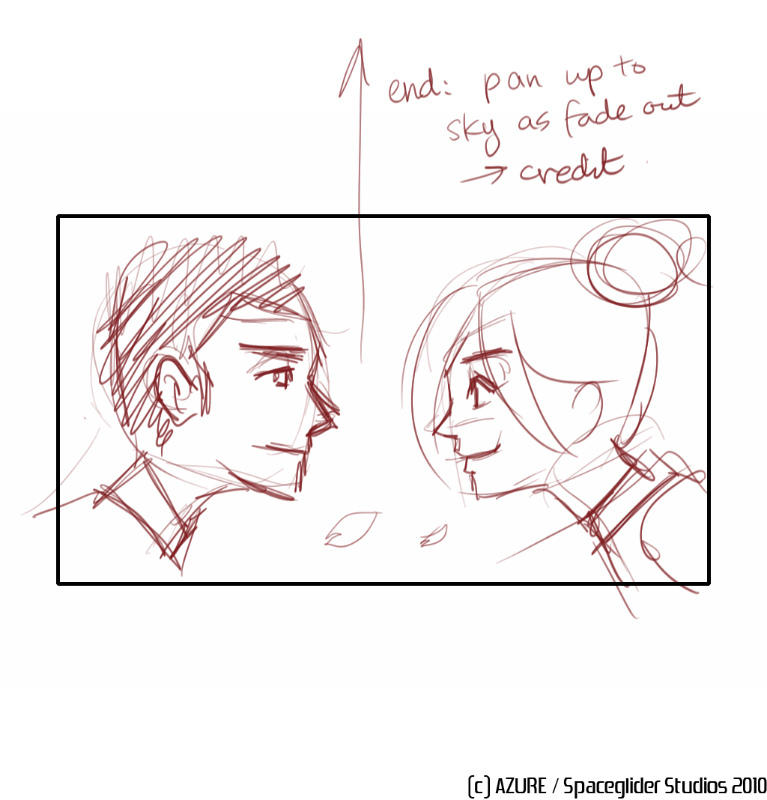 Though I'm more experienced as an animator, I find this part of storyboard process preeetty fun.